Due to affluent industry expertise and practice, we are specialized firm providing an extensive range of Slate Insulated Water Bottle. 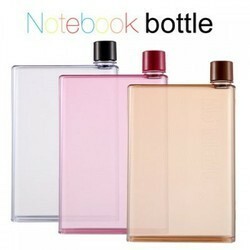 Unique shape Notebook Plastic bottle with a hole.Convenient to carry. Good quality promotional water bottle.